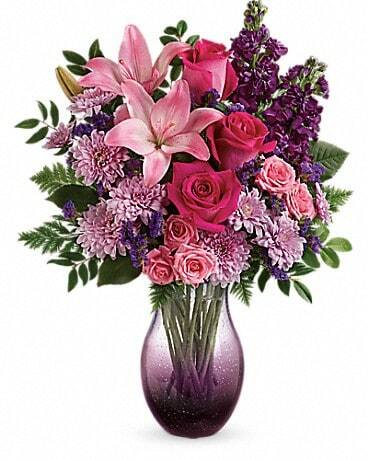 Lush and lovely, this deluxe bouquet lavishes her with love! 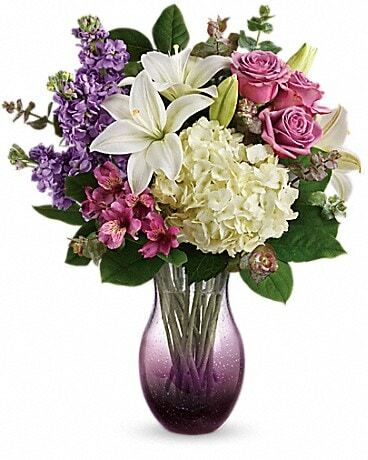 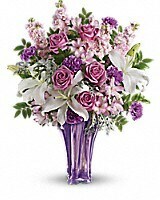 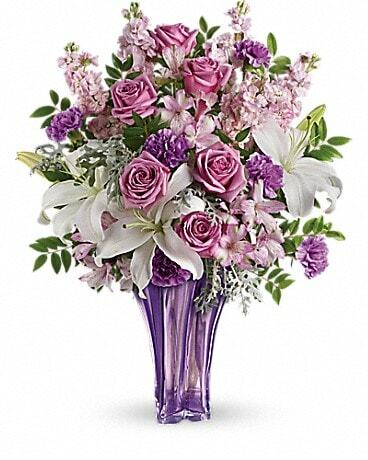 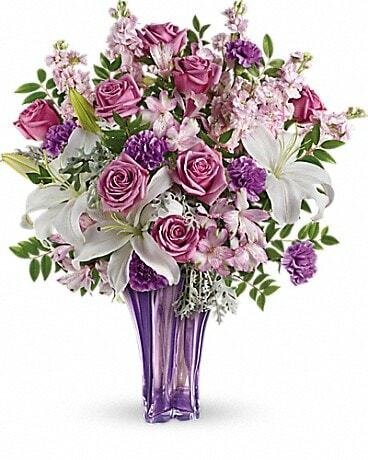 Pure white lilies shine amidst a marvelous mix of lavender roses and pink alstroemeria. 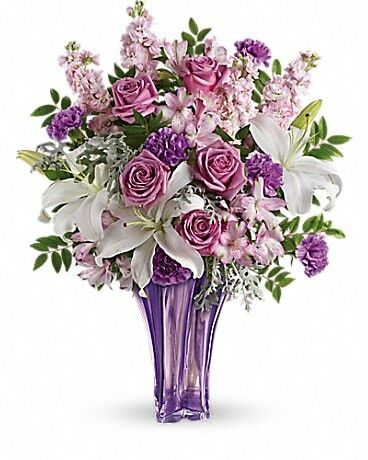 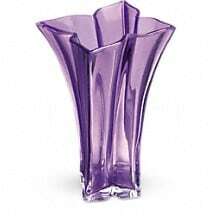 Hand-delivered in a grand blown glass vase she'll treasure forever!